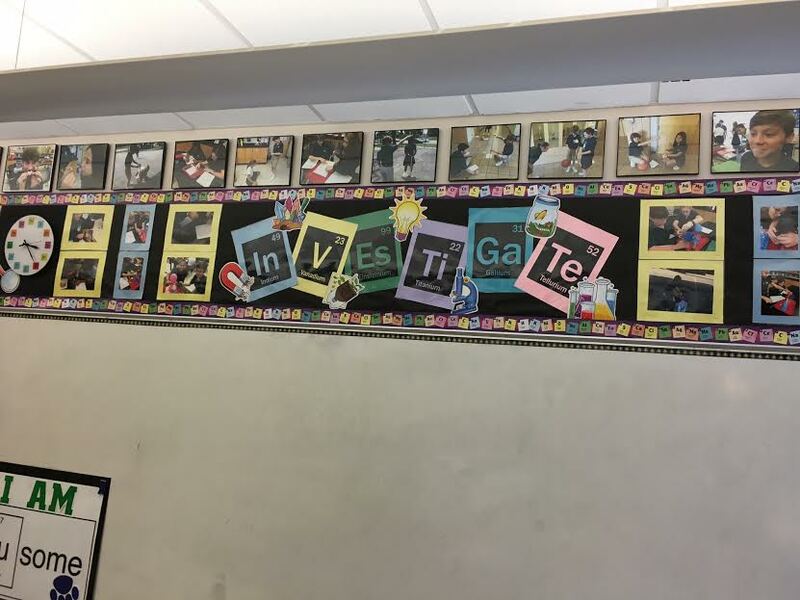 Each year before the previous year ends, I search pinterest for ideas for a classroom theme for the following school year as it allows me the summer to acquire many new items for the "theme." 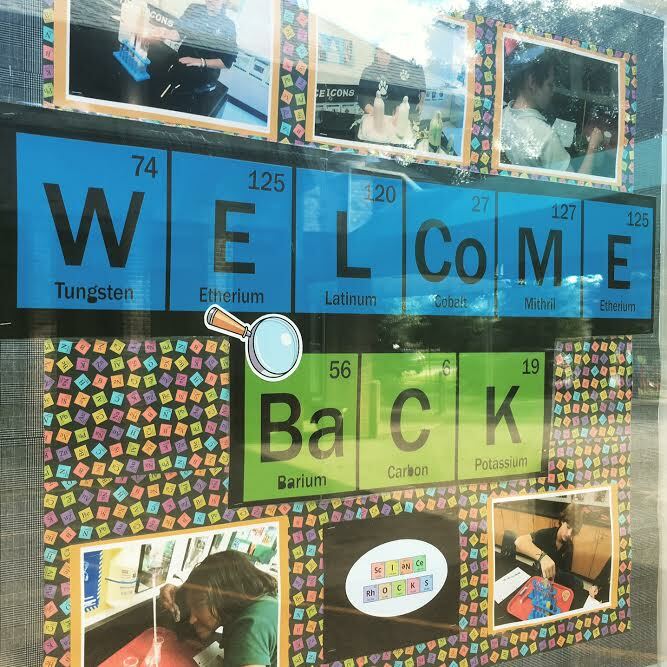 This year's theme centers around the periodic table. Did you guess that one? 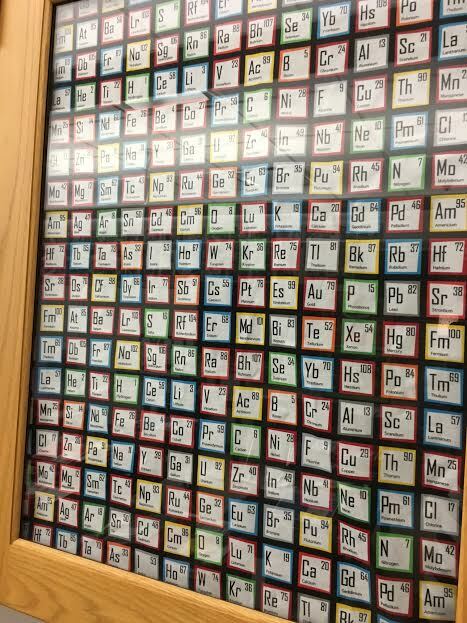 As a science education major (chemistry & biology), the periodic table is easily a recognizable chart of any science student and classroom. I searched etsy by placing "periodic table" in the search box and was elated to find a company called Off the Wall Expressions. 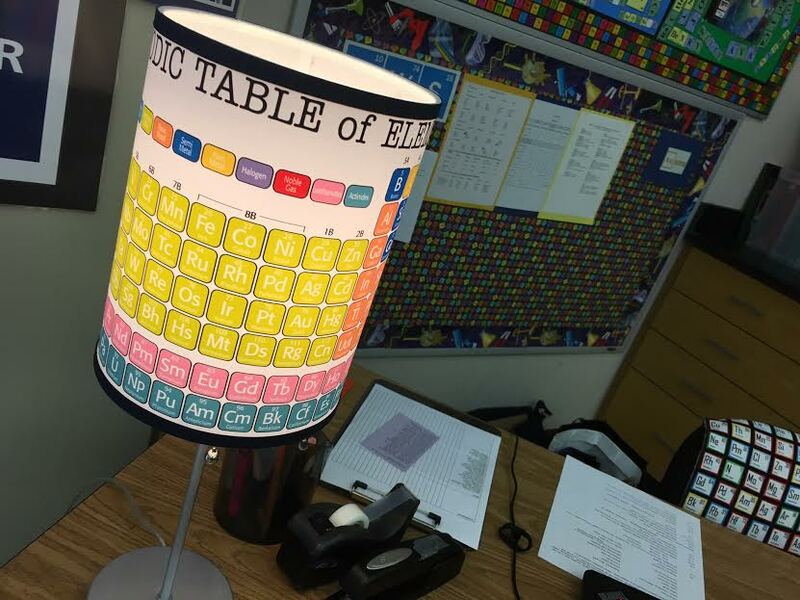 This company specializes in decals of various sizes, many using the elements of the periodic table to spell words. 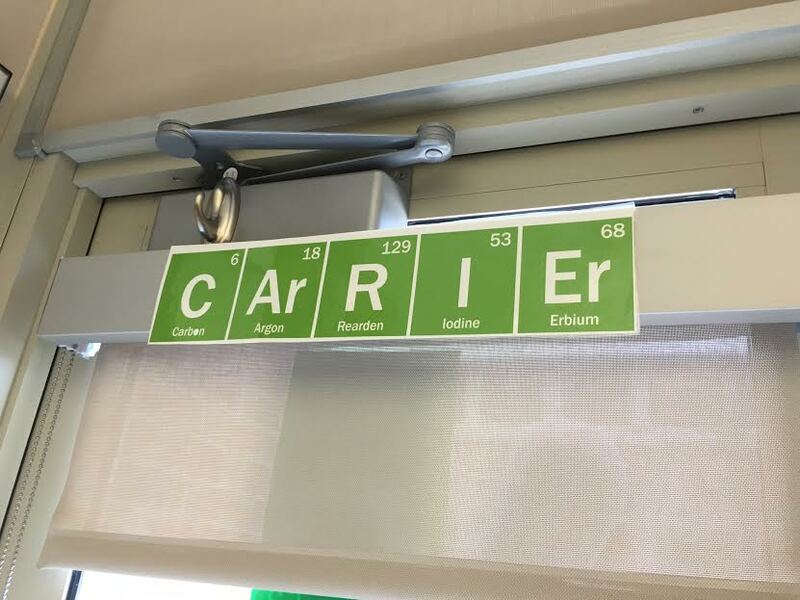 Of course, some elements may be fictitious. I shall see who is the first student who notices. The owners of Off the Wall Expressions were so helpful with my many requests. The orders were also timely delivered. 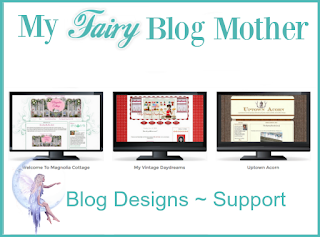 I also searched Cafe Press and Zazzle for even more products. 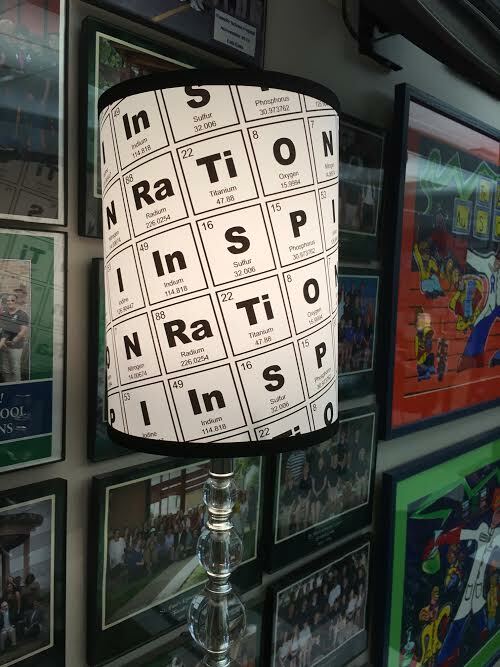 It is amazing what you can find simply by googling "periodic table." 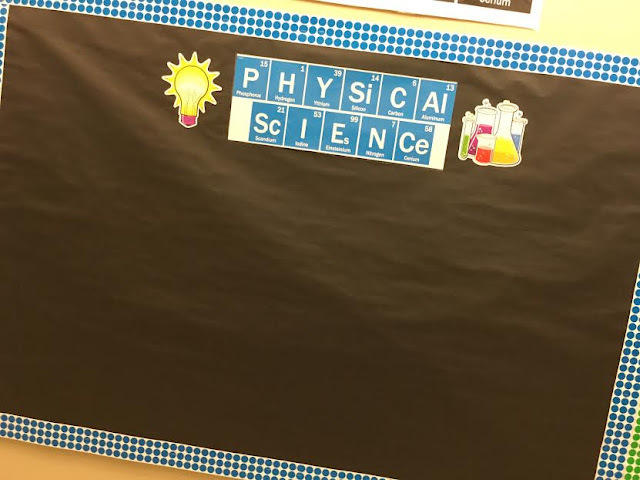 For the past week, I had the best time creating new bulletin boards and wall art for this school year. I cannot believe that I have never tired of doing so. I have always loved the two weeks prior to school when teachers decorate their rooms. 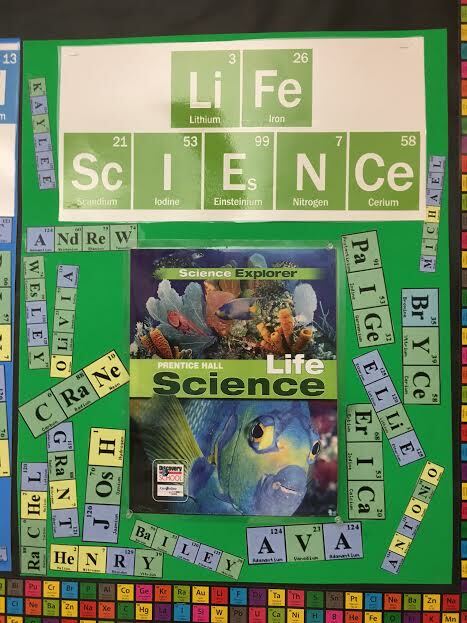 I also covered the insides of my cabinets with periodic table material from etsy. 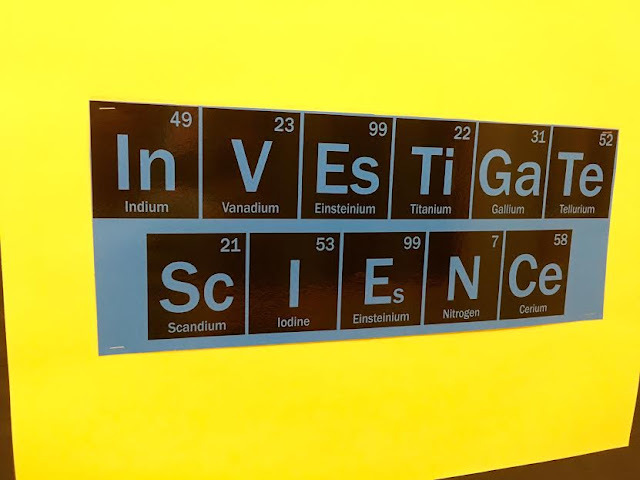 I love how it hides the multitude of science "junque." Tomorrow is the first day of school with the students. I cannot believe summer is over. 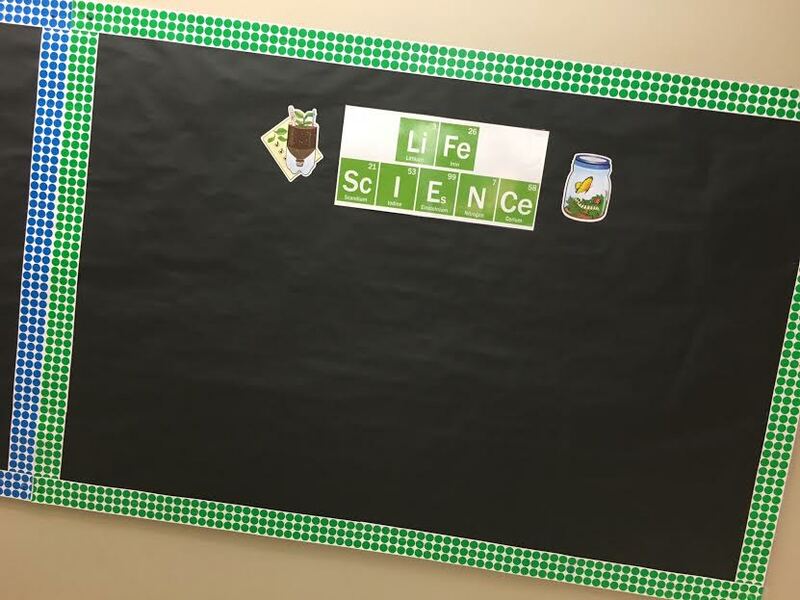 This is an amazing theme for your classroom! I predict your students will benefit greatly from these displays. 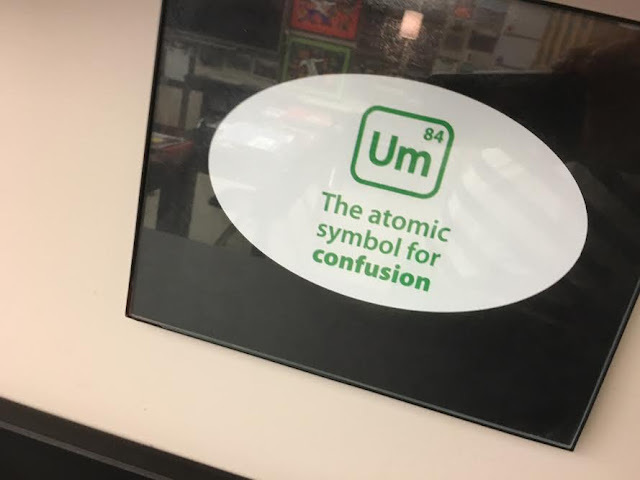 I was not a good science student when I was in school, and I wasn't exposed to the Periodic Chart of the Elements until I took a required science course in college. What a challenge to learn those elements!! 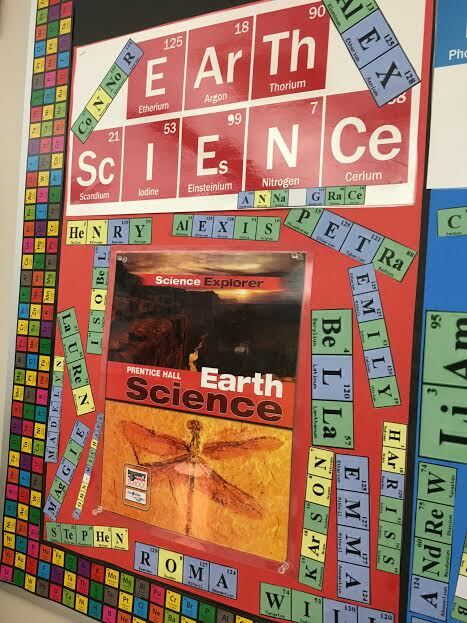 I've been retired from the elementary classroom for 13 years, and these kinds of themes definitely generate interest in learning among the students. your best yet!! I love it! 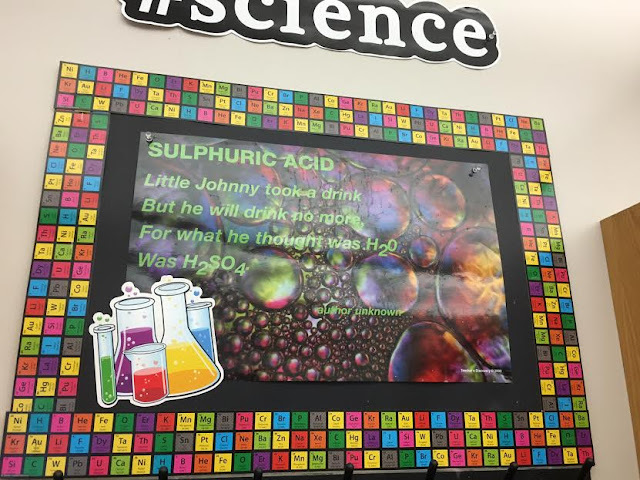 Oh my word, your displays are totally amazing and should definitely intrigue and engage your students. 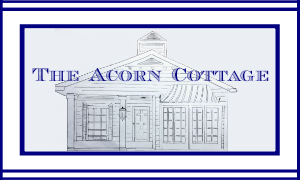 You have put so much thought and work into every detail. 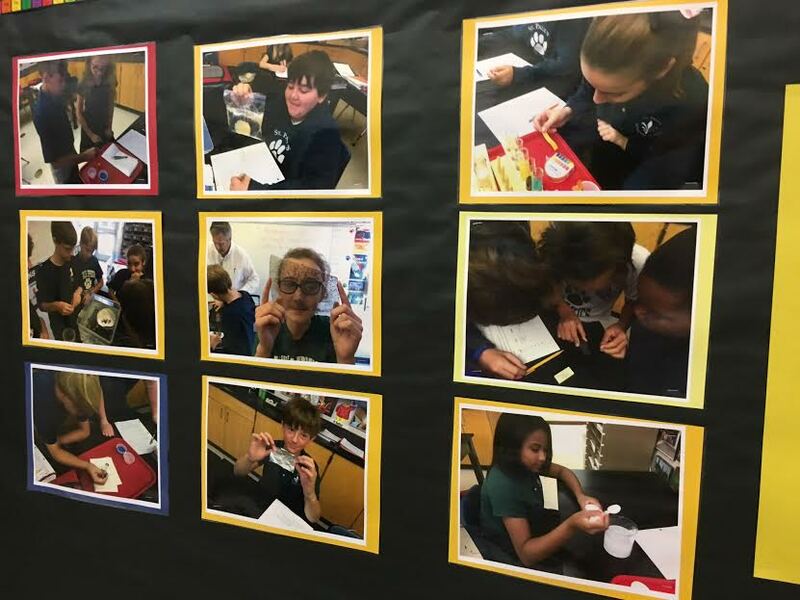 Your students are lucky to have a teacher like you that really wants to make learning fun. Good luck. Wow, you have knocked this theme out of the park! 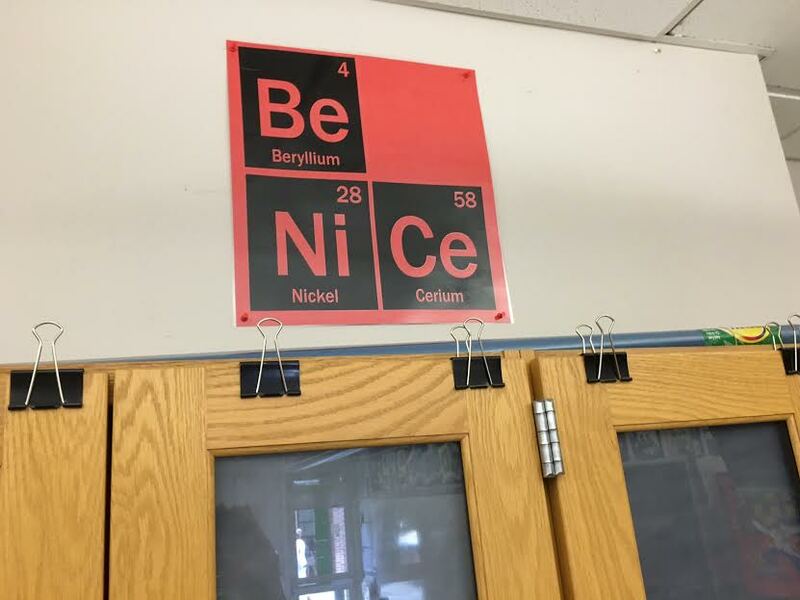 Your students must love you. 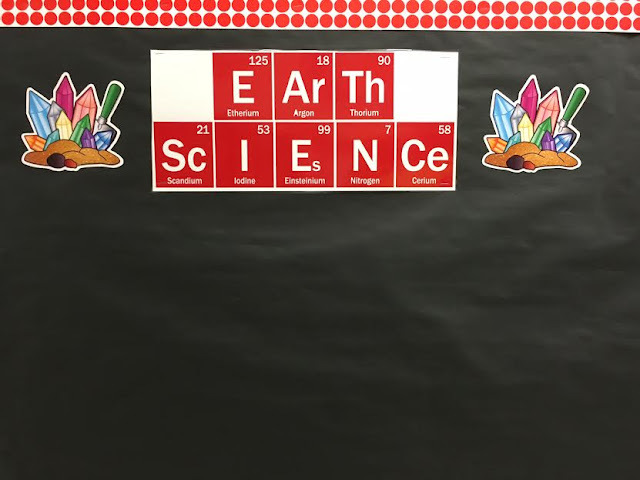 You have decorated your classroom with so much fun elements. 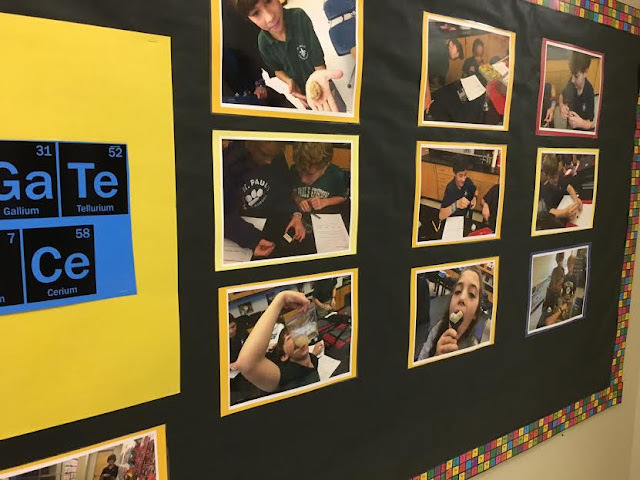 The Periodic Chart has never looked so good! 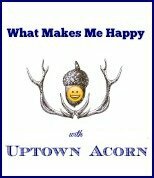 I love how you think. In fact, if I were a student in your class, I would be thoroughly motivated to study harder. 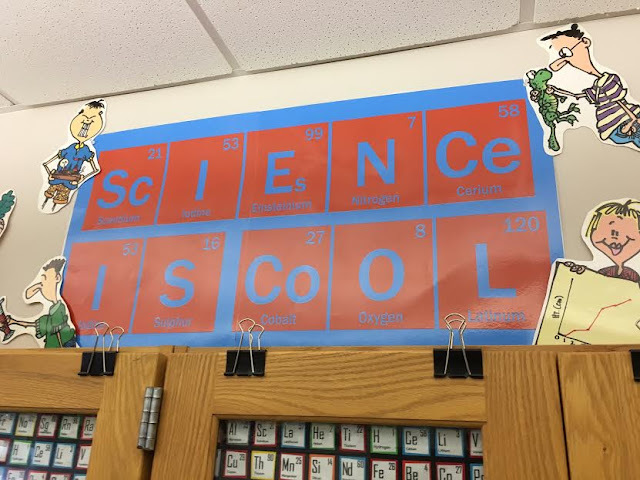 I admire your creativity in creating such an awesome look for your students. Ron, this is amazing. 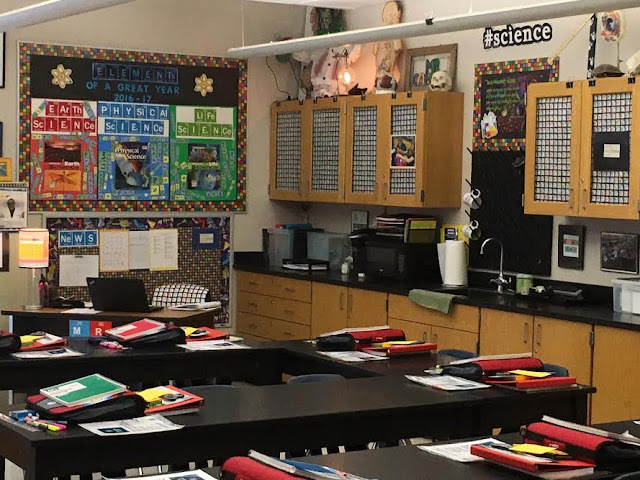 I have never seen a classroom look so good. It actually looks like fun. 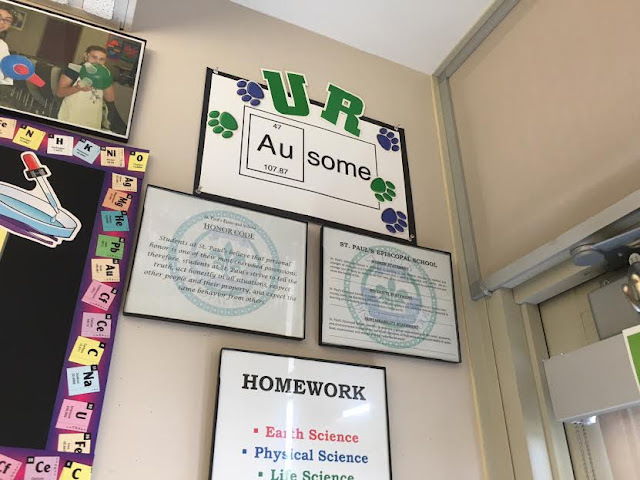 You did your homework well and it definitely shows. 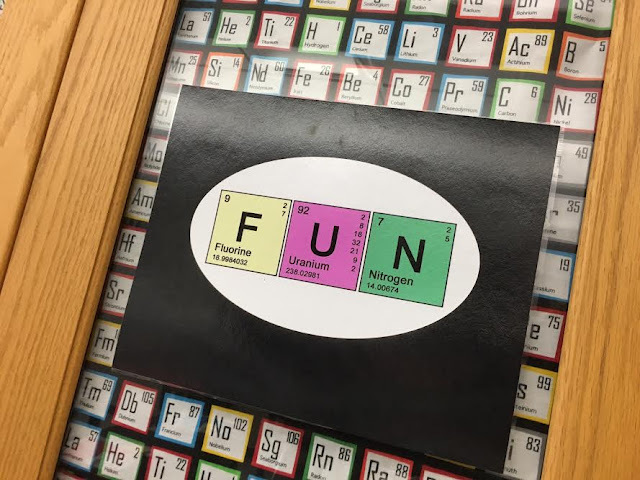 it must be so much fun to be a student in your classroom. 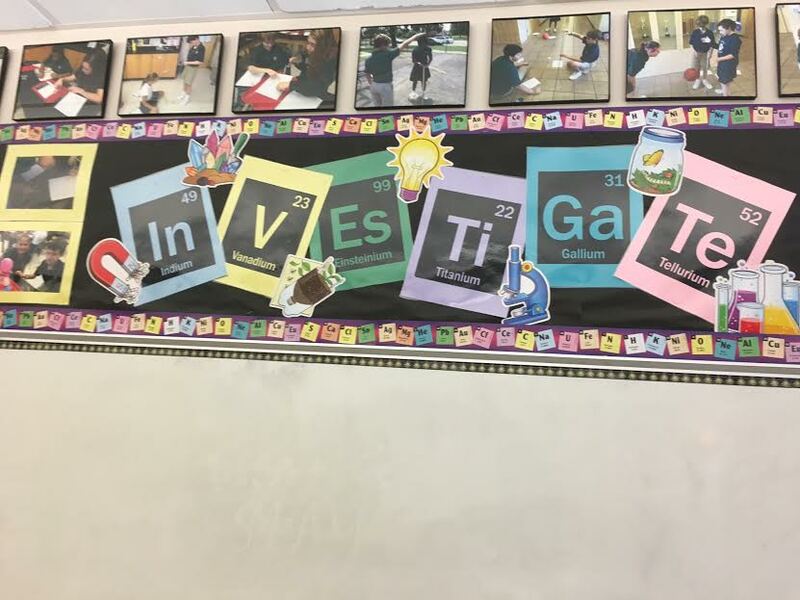 I think the key to learning for kids, is to make it interesting and fun. They will be inspired. Great job. 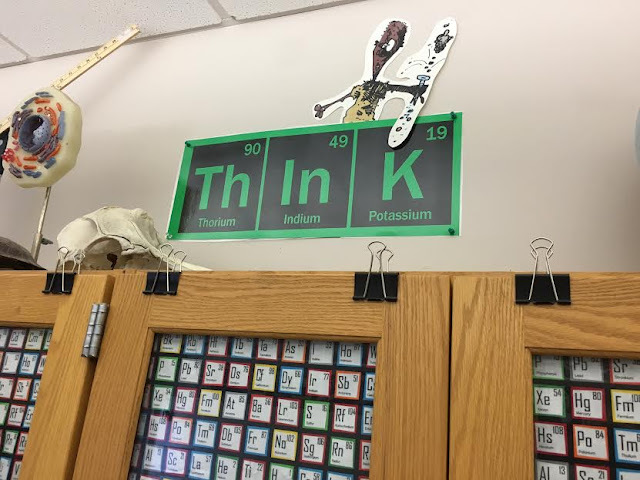 Have fun with the students when they see their room. 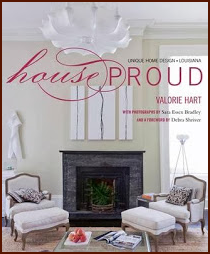 I am so inspired by your creativity and special attention to the details. Your class room has to inspire the students to want to participate and learn. I so could have used a teacher like you back in my school days! Hi Ron! Oh, what an amazing display in your classroom! I'm sure when the students walk into your classroom they know they are going to love science! 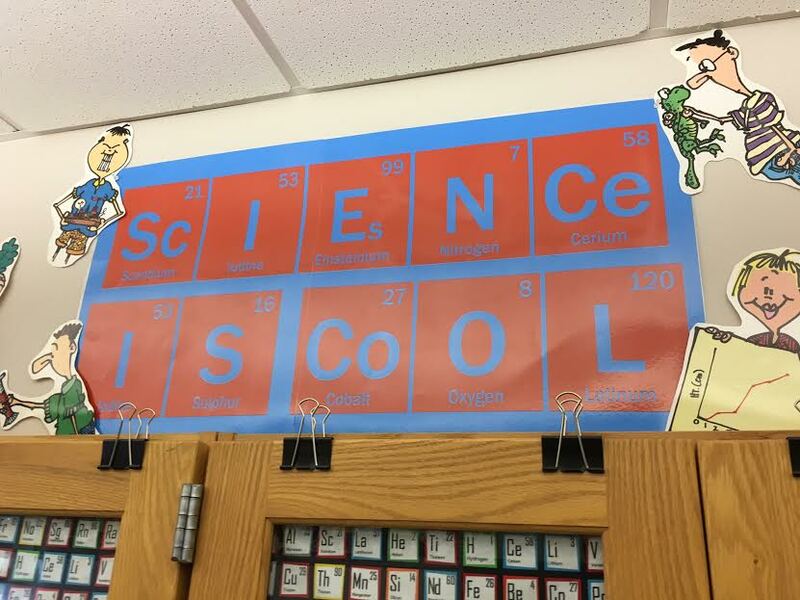 All of your effort to decorate you room is to show your love for science and your love of teaching! Well done! Ron, this is amazing! I think this may be your best work yet! I can imagine your students being totally engaged and captivated by your creativity. 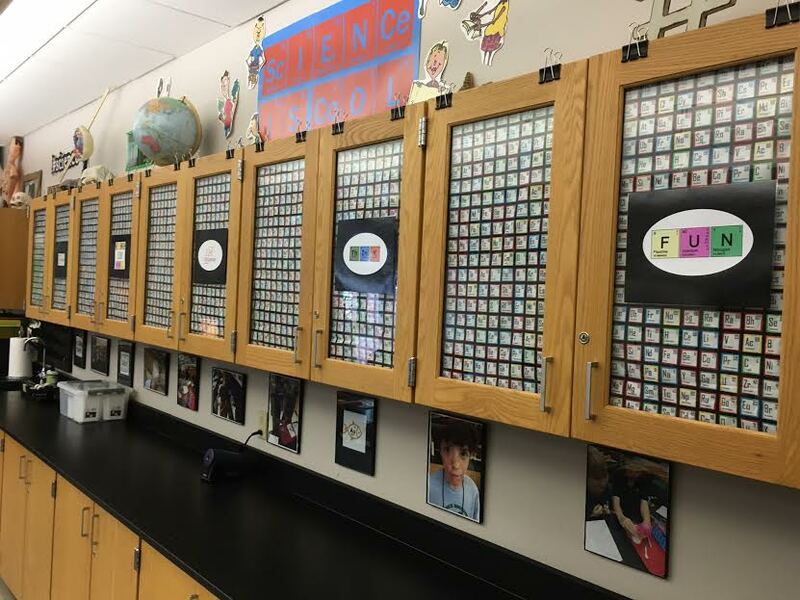 The thought and planning that goes into a theme like this shows that you are a dedicated educator. Your students are lucky to have you! Amazing Ron. 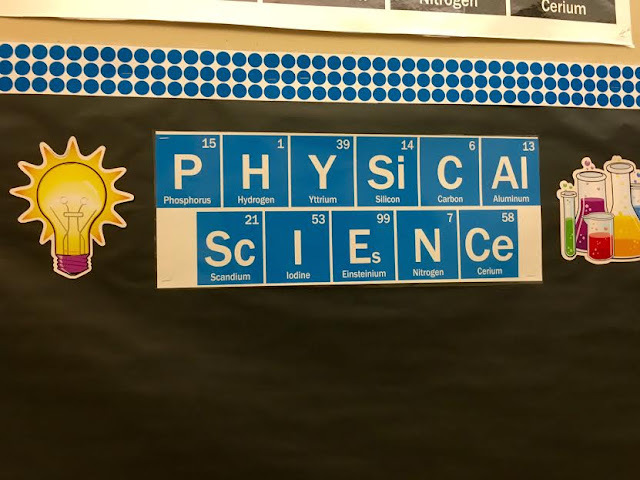 The room decor is so creative and will inspire the kids to love Chemistry. 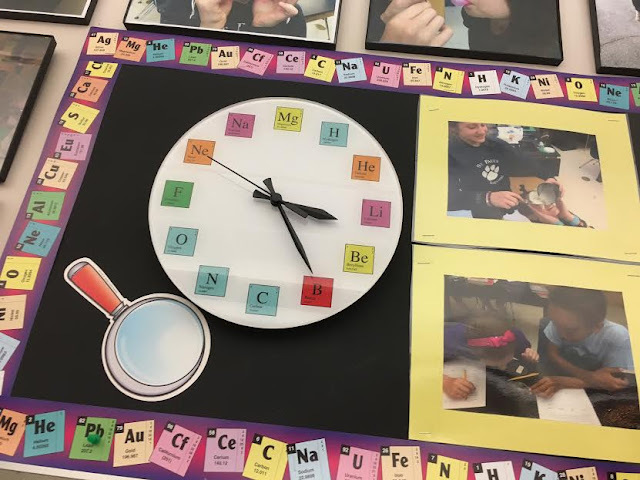 You nailed it with all the fun things to show the kids how science classes can be fun. Your students are so blessed to have you as their teacher. You are my hero for being such a great teacher and making learning so much fun for these kids. I know you will inspire so many of them to go on in life and become teachers, scientist, doctors, nurses, oh the list goes on but most of all you will send them into the world loving to learn and become great people in this world. Bravo the classroom looks amazing. Hugs to you as you start back to school. Ron, most have no idea how much time and effort teachers devote to getting their rooms ready for the first day of school. Kudos to you for going above and beyond to make your classroom such a stimulating environment. 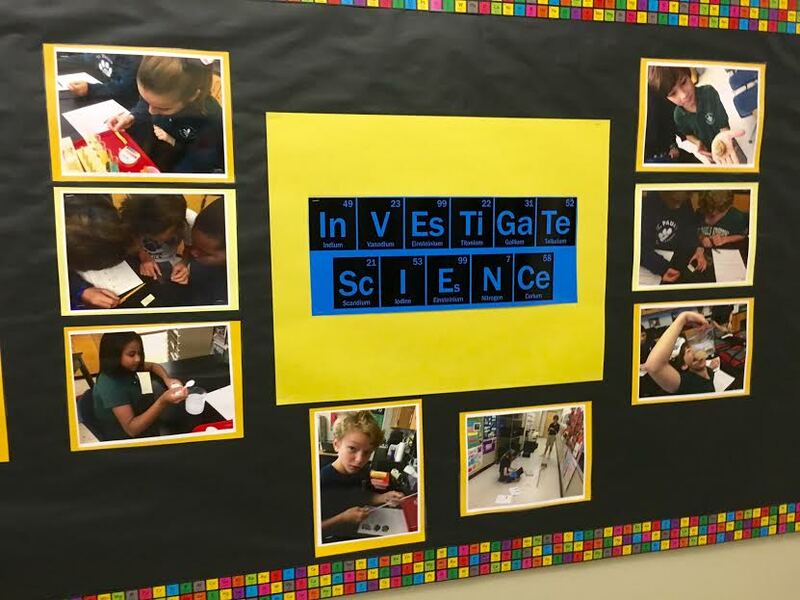 I know your students are inspired by your enthusiasm for science. 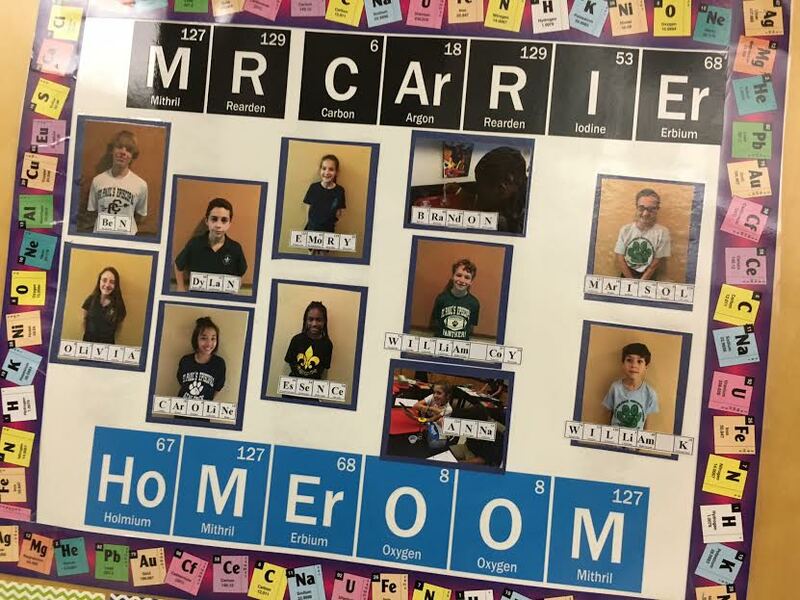 Lucky kids to have Mr. Carrier. 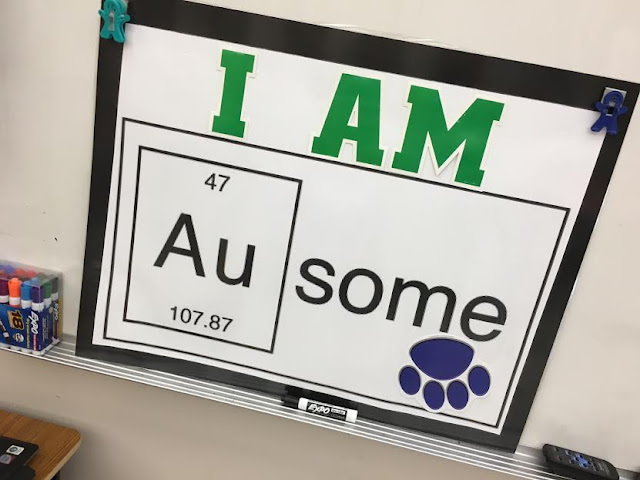 U R Au some! 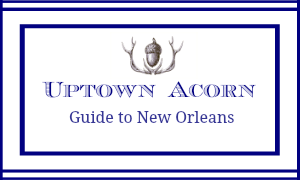 All the best for a fabulous school year. 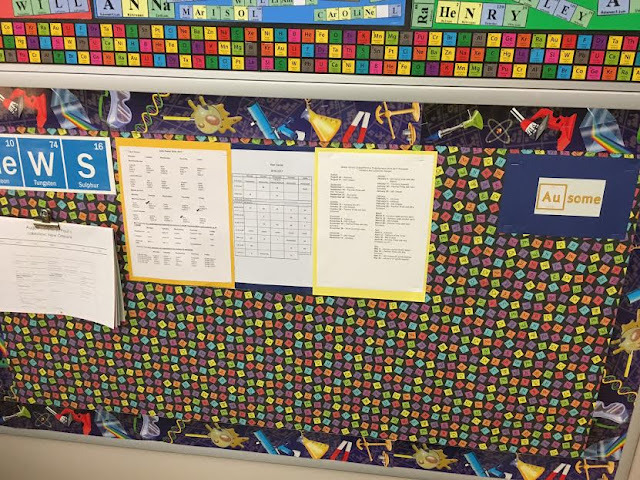 WHAT A FANTASTIC JOB YOU HAVE DONE PUTTING YOUR CLASSROOM TOGETHER. WOW!! CONGRATS ON A BEAUTIFUL PRESENTATION AND ENJOY THE NEW SEMESTER. Periodic Table fabric?!! the best!! You truly are an amazing teacher Ron and it shows. Your luv for your work is evident and that is the right combination to create an exceptional learning environment. 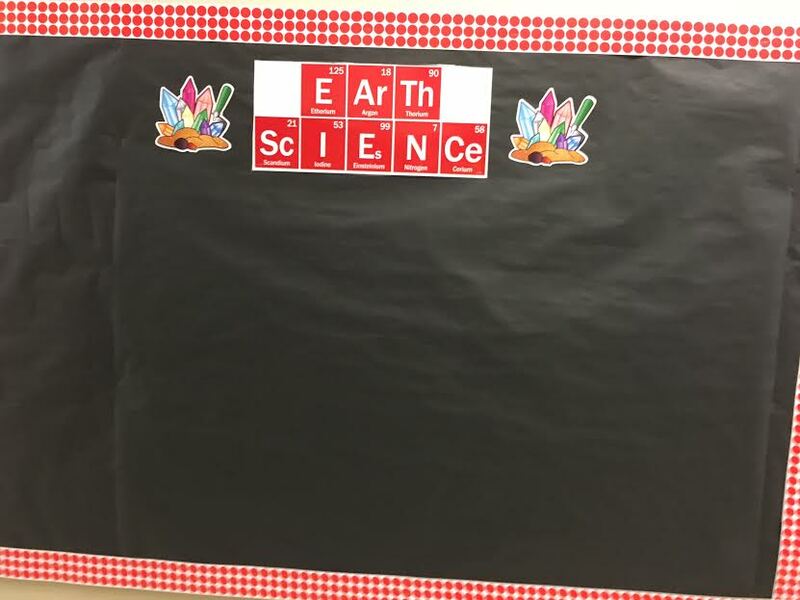 Here's to a wonderful school year to both you and your class(es). Ron! 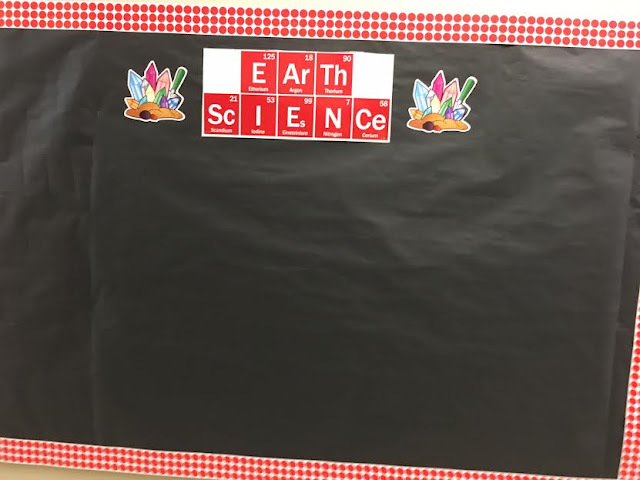 Another classroom theme and setup well done! You are such a creative, dedicated, and inspirational teacher. Your kiddos (and school!!) are so lucky to have you. Have a super year! 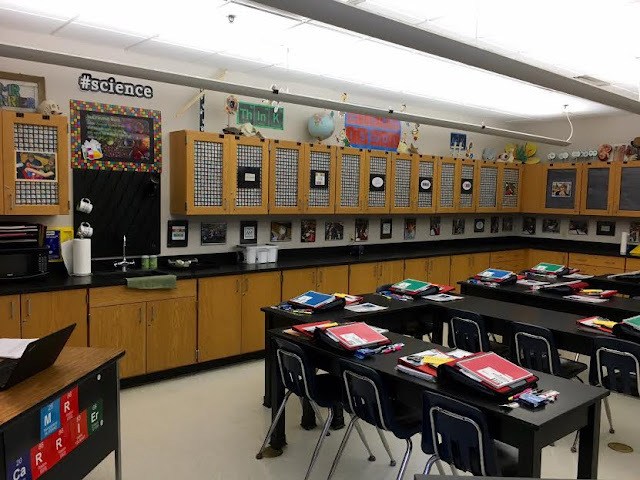 Your classroom looks so good! 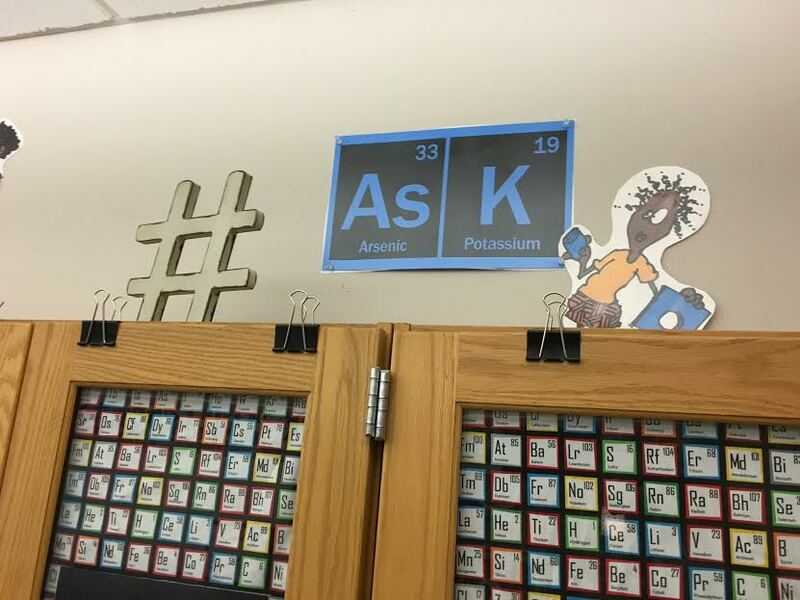 I think using the periodic table references around the classroom will be very helpful for your students to retain the information. 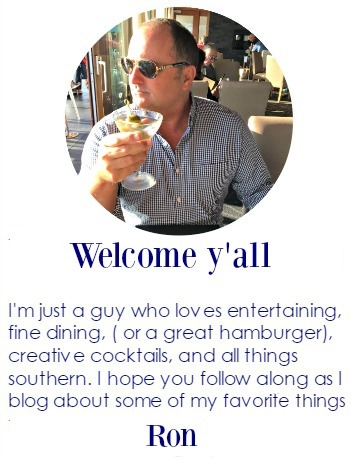 You certainly made it fun to look at!! Ron, you have created such an interesting and inspiring room for you students. Clever and creative are two words that come to mind. Lucky students to have you as a teacher and this great classroom to learn in. OMGOSH, Ron! Those kids are SO SO lucky to have a teacher that is so caring,creative, and committed to furthering their education. YOU give it your all. I don't know anyone that loves teaching more than you do. If my grands were closer I would make sure they were in YOUR class!!! 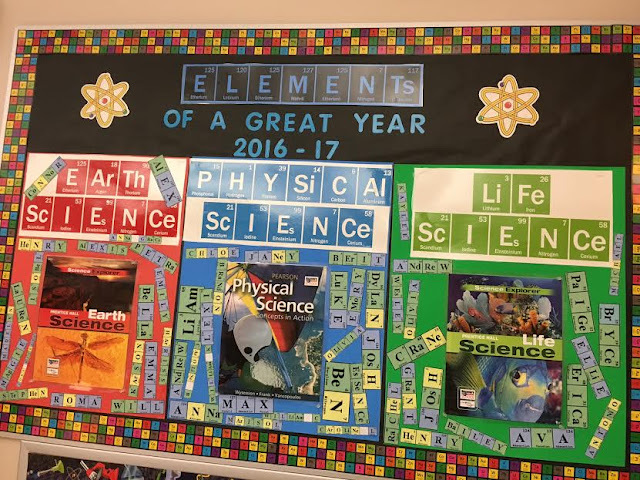 Great job on the room and finding all those elements to pull it together. It is perfect!!! What an amazing classroom and theme! I'll bet your students LOVE it and will be inspired by your creativity and love of teaching. Lucky students to have you for their teacher. Well done, Ron!! Adorable! Still gives me the bad back to school shivers though :) better them than me! If you had been my science teacher, I am sure I might have paid attention and learned something! Your students are very very lucky to have a teacher who is so creative and works so hard to engage their little brains. 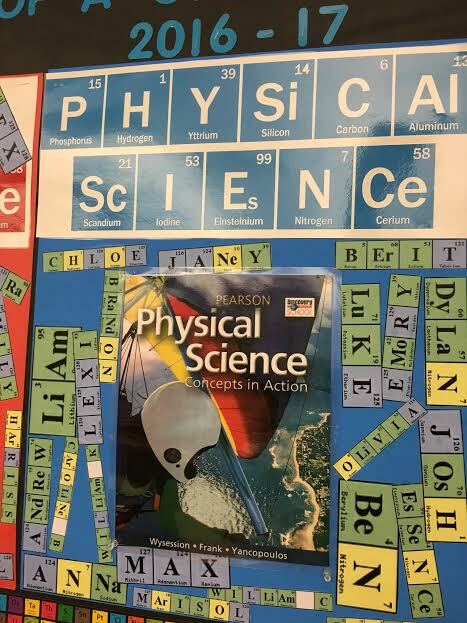 I am pretty sure they didn't teach the periodic tables in the classes I had in Jr. High and High School. Most likely I was just bored and not paying attention. 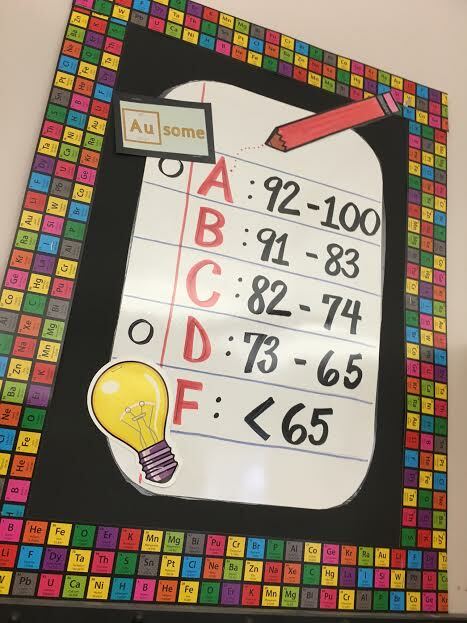 Not much chance of that in your classroom! 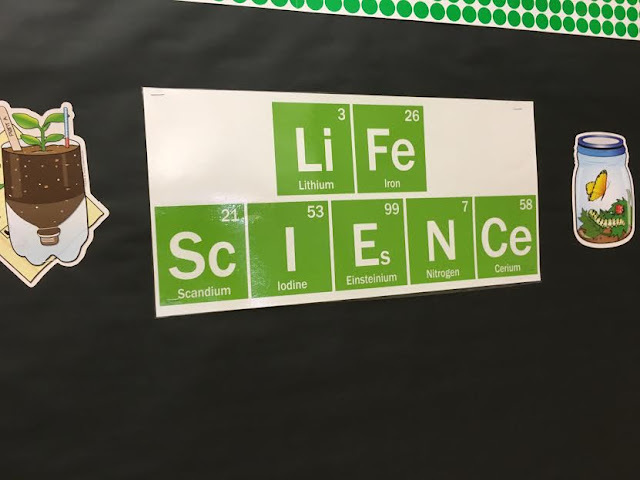 Ron, I am blown away by your clever use of the periodic table in your classroom. 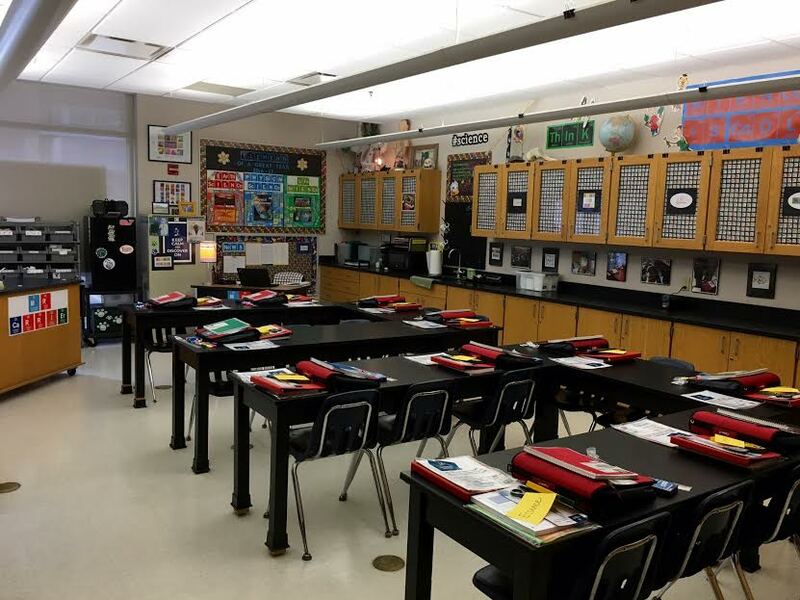 As a former educator, I understand the importance of a clean and inspiring classroom. 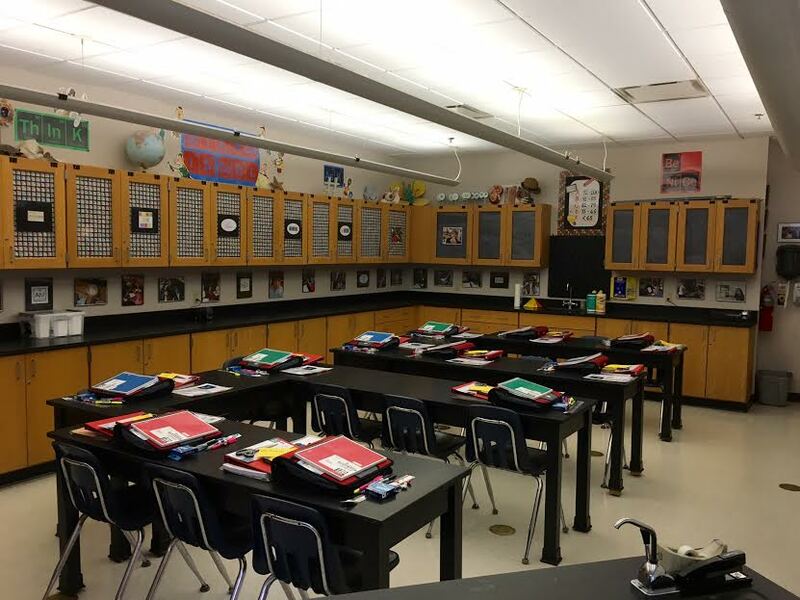 Your engaging decor will surely encourage your students to cooperate and participate during classes and labs. I hope you and your students have a productive school year!